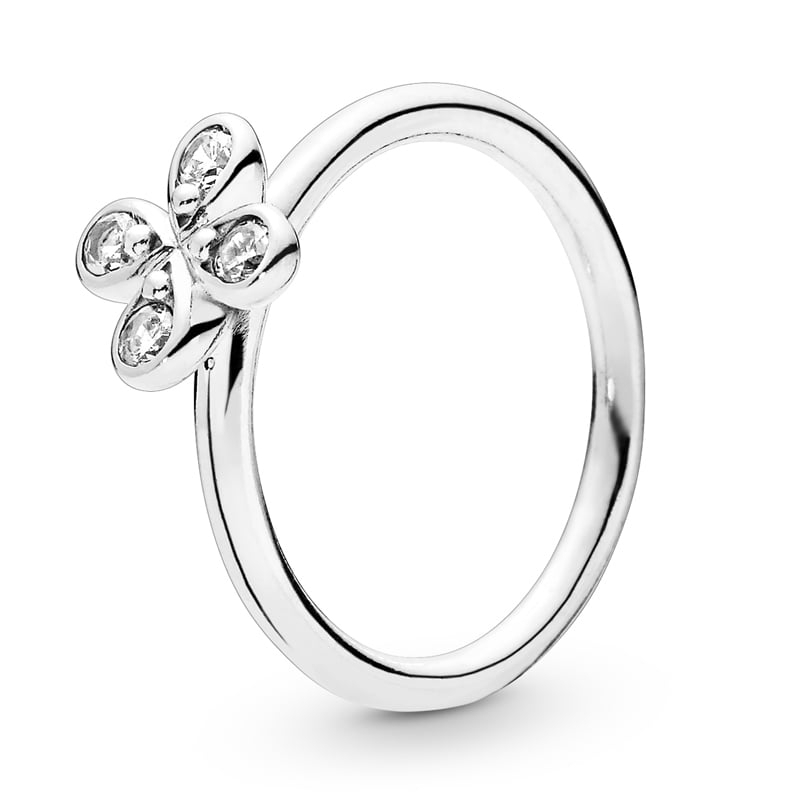 Made from sterling silver, this sweet and simple flower is the epitome of minimalist chic. With four delicate petals, each has a sparkling stone. Wear alone or combine with other rings to create, stack and style a look that's unique to you.